we are just one block from the waterfront, numerous restaurants and shops. that a Colonial Newport Historic home can offer." "The Inn on Cove Hill (The Caleb Norwood, Jr. House) is a 200+ year old Georgian/Federal-style home which has been (and is always being) restored, displaying beautiful pumpkin-pine wide floor boards, wood paneled halls and a lovely handcrafted front spiral staircase. The guest rooms are furnished in antique and reproduction furniture reflecting the age of the house. The innkeepers offer a uniquely New England experince in this gracious home set in the Historic Harbor District of downtown Rockport. Everything from beaches, art galleries, shops, the train to Boston and restaurants are within walking distance of the Inn. Park and walk!" (I saw this inn on Yankee Magazine and thought it was adorable! 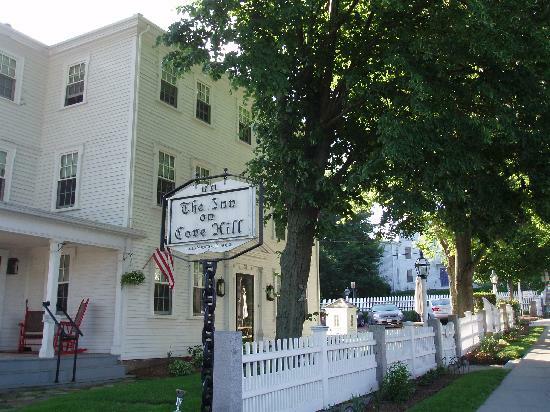 "Relaxed, cozy, romantic, and very friendly, the Camden Maine Stay is a grand old home located in the historic district of Camden Maine, one of America's most beautiful seaside villages. A two-block walk down tree lined streets brings you to the harbor park, shops and restaurants. Mid-coast Maine has it all. Guests at the Camden Maine Stay can walk four blocks to over thirty miles of wonderful Camden Hills State Park trails, play golf on one of the country's premier courses, sail in a windjammer, eat lobster within yards of where they are being caught or sit on the rock at the top of Mt. Battie where poet Edna St. Vincent Millay sat to gaze at the islands in the bay and gain inspiration. In 1802, when Thomas Jefferson was President of the United States, Route 1 was a dirt road and Maine was still a part of the state of Massachusetts, Alden Bass built a house at 22 High Street here in Camden. A striking main house with an attached carriage house and a four-story barn, the home is an outstanding example of the progressive farm buildings common to 19th century Maine. 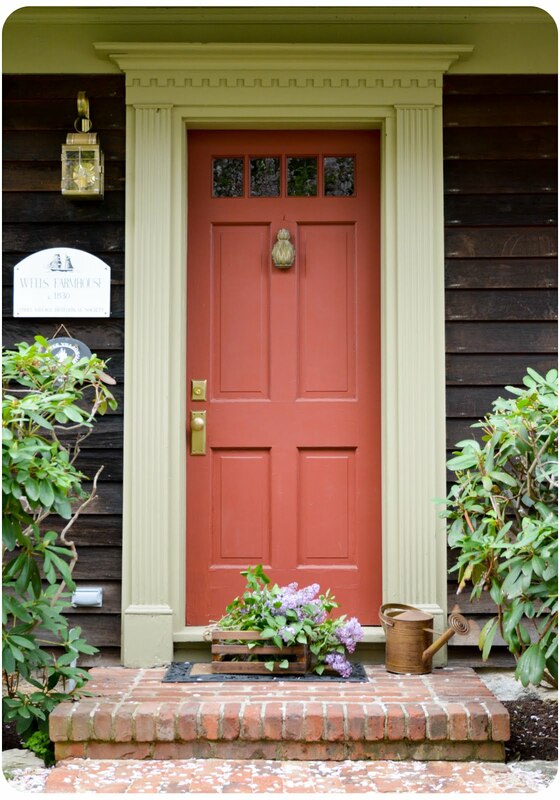 The Camden Maine Stay is the second oldest of the sixty-six lovely homes that are listed on the National Register of Historical Places in the High Street Historic District." I like that Newport B&B, but they are all inviting. Why don't you post pics of the Publick House here? I loved that Inn. i love camden maine and would like to move there one day! or bar harbor! I just love all these quaint pictures! I have a little piece of advice (I hope you won't take it the wrong way). But when you have the setting for 7 posts on the page it takes a LONG time to load. It probably wouldn't matter if your blog was nothing but writting but with the pictures it can be a bit of a drag. At least it is for me. I would think 2 or 3 posts would be efficient. Just wanted to give you my point of view. I know my blog readers have given me their opinion on my blog and it was always helpful. They all look like lovely places! erin..did you see the castine inn on my sidebar..